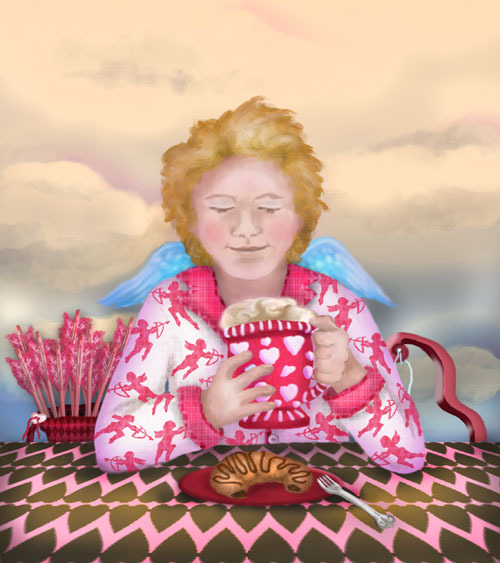 Cupid enjoys an extra-large double mocha cappuccino and a chocolate croissant prior to taking flight on his annual quest to spread romance across the cosmos. 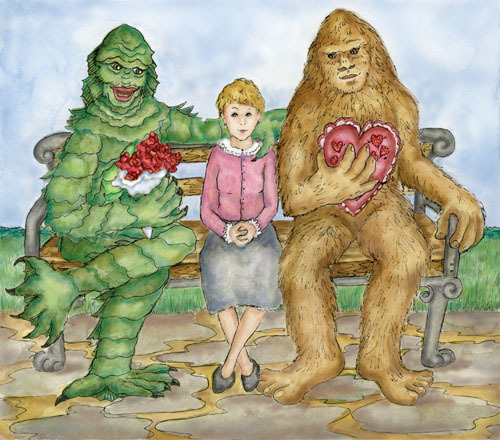 Two improbable suitors are competing for young Margaret’s affections. Love can be strange when you’re torn between two lovers and feeling somewhat like a fool. Poor Margaret has to make up her mind this Valentine’s Day. Who, or in this case, what does she prefer? Will it be surf or turf? Whose heart will she break? 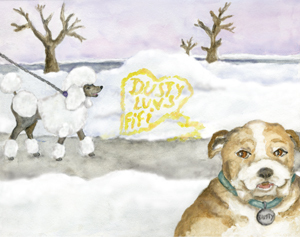 Dusty was a hopeless romantic who often left love notes in the snow for the objects of his affections.